We Are YOUR CAR & TRUCK REPAIR EXPERTS! All our technicians are highly experienced and trained & know exactly how to address all auto repairs & car services. Whether your vehicle requires major repairs or is due for maintenance checks, We are qualified to handle it all!!! We pride ourselves in auto repair & customer service & we work hard to ensure we provide the best customer experience. In need of Auto Repair? Contact us today and let our team of experts in auto and truck repair handle everything!!!! Affordable Prices! Honest Repairs. Thank you for considering Grant Automotive. Here at Grant Automotive, we offer auto repair services to the residents of Morrison, CO. Our goal is to meet your service needs with the highest quality service. We are experts in Car and Truck Repairs, Japanese and American. We are conveniently located between Conifer and Morrison on Hwy 285 near Tiny Town. We proudly service Lakewood, Littleton, Morrison, Indian Hills, Conifer, Aspen Park, Evergreen, Pine and Bailey areas. Our front office team Includes Marty Vrooman, Service Manager, Leo Johnston and Kent Wade our Service Writers and Karen Ber, Office Manager. “I have been taking my vehicles to Grant for service for about 7 years and I have never been disappointed. Services ranged from routine maintenance (oil changes, brake pad replacements, alignments, tire rotations) to major repairs (timing belt, exhaust manifold, transmission). They are very good at troubleshooting problems, providing detailed quotes, meeting deadlines and conducting necessary repairs. The staff are always friendly and anxious to take care of my needs, and they're very good at communicating progress. We are dedicated to providing professional customer service and automotive repair services to Morrison, CO area. Whether your vehicle requires major repairs or is due for maintenance checks, Grant Automotive of Morrison, CO is qualified to handle it all. All our technicians are highly experienced and trained and know exactly how to address all auto repairs and car services. From car to trucks, we stick to the manufacturer’s guidelines. Not only does this ensure your car is repaired correctly the first time, but it also helps keep your car on the road as long as possible. So, if your car is giving any trouble or requires major repairs, call us or set up an appointment online. You can also contact us if you have any general questions about your car. We are here to help our customers in any way we can. Your Car & Truck Repair Experts! Grant Automotive of Morrison, CO goal is to meet your service needs with the highest quality auto repair service. 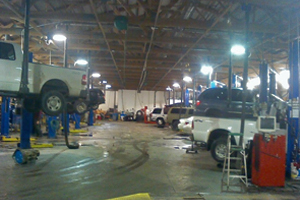 Your One-Stop Source For The Best Auto Repair Service and Maintenance in Morrison. Here at Grant Automotive of Morrison, CO, we can address all kinds of car-related repairs, from fixing your car to evaluating it's engine performance. For the sake of your car and your own safety, call us if you face any car-related issue.